The art of healing comes from nature – not laboratories. This is especially true, when it comes to healing inflamed joints. Not only do you need to deal with the external physical manifestations, but it is pertinent to address the source of pain to attain a long-term effect. 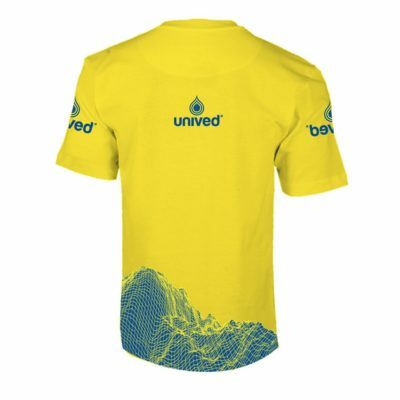 Unived’s COLOX is a unique natural joint pain supplement. It has an anti-inflammatory and synergistic joint protective action that is superior to and safer than NSAIDs (non-steroidal anti-inflammatory drugs). COLOX poses a double blockade in the path of pain, inflammation and edema. COLOX blocks COX-2 and 5-LOX pathways – inhibiting the production of prostaglandings & leukotrines. COLOX is effective against rheumatoid arthritis and osteoarthritis. The creation of COLOX is inspired by nature’s powers of balanced healing. Suppressing symptoms temporarily with medications such as NSAIDs, actually worsens your condition with its synthetic chemicals and hazardous side-effects. Our belief at Unived is that a health condition like arthritis calls for a deeper scientific insight into the body’s mechanisms. After two years of research and trials, COLOX comes forth as a potent joint pain supplement with powerful anti-arthritic and joint strengthening properties. 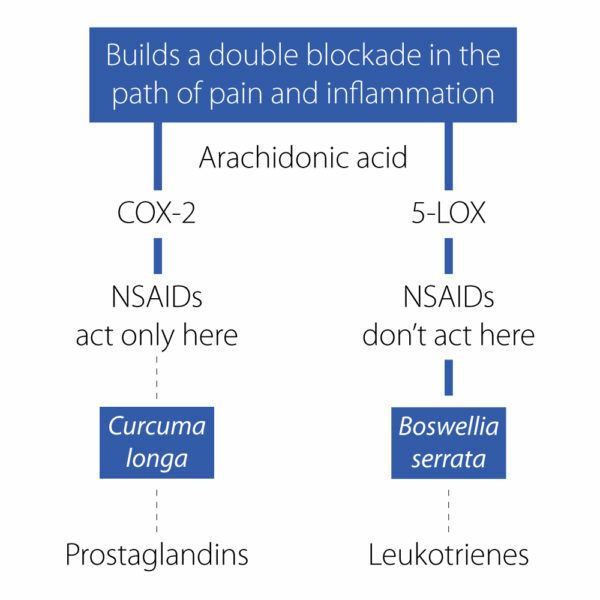 NSAIDs mostly block either COX-1or COX-2 pathways and address only the production of prostaglandins, leaving the 5-LOX pathway open for synthesis of leukotrienes. Furthermore, NSAIDs have no supportive mechanism other than the temporary suppression of pain and inflammation. COLOX exerts a double action in the inflammatory path by blocking both COX-2 and 5-LOX, enzymes that are responsible for the synthesis of prostaglandins and leukotrienes, respectively. Both prostaglandins and leukotrines are formed when arachidonic acid is released and they play a key role in generating an inflammatory response in the body. COLOX builds this double blockage and addresses plain, inflammation and edema in a holistic and composite manner. At the same time, COLOX strengthens your muscles, cartilages, tendons and repairs connective tissues. It improves blood flow to your joints, reinstating normal movement and flexibility. NSAIDs are often recommended as a first-line of treatment for mild-to-moderate musculoskeletal pain. They come in diverse forms including pills, creams, sprays and patches, and include ibuprofen, aspirin, and aceclofenac to name a few. These medicines bring superficial and temporary relief; however, using them for a longer period may worsen your condition and bring harmful side-effects. NSAIDs are known to lead to gastrointestinal and cardiovascular complications. Patients taking oral NSAIDs for 5 days or more at least twice annually have a 4.21 relative risk of gastrointestinal events compared to those who do not. Clinical trials have noted skin creams with NSAID content to cause higher rate of redness, irritation and rash. Other side effects include stomach related bleeding and ulcers, fluid retention leading to swelling around the lower legs, feet, ankles and hands, kidney dysfunction. One of the most serious adverse reactions to NSAIDs, is that as a class of compounds they cause the breakdown of articular cartilage. This means worsening of osteoarthritis, the very disease for which they are most commonly prescribed. Long-term use of NSAIDs also entails kidney dysfunction, hyperacidity and high blood pressure and even heart and stroke related risks in certain cases. COLOX is a 100% natural, safe for long-term use and has no known side-effects. 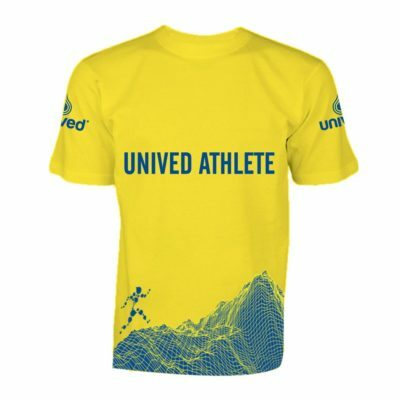 Among the several joint pain medications prevailing in the market, some of them may include products using similar ingredients as Unived’s COLOX. The differentiators that make COLOX a pertinent formulation are the standardization of the ingredients, the quantum of each ingredient used in the formulation and its synergistic effect – lending long-term and definitive benefits to your joint health. Daily consumption of COLOX as per the suggested dosage, gives you nearly 2gms of standardized phytochemical extracts. 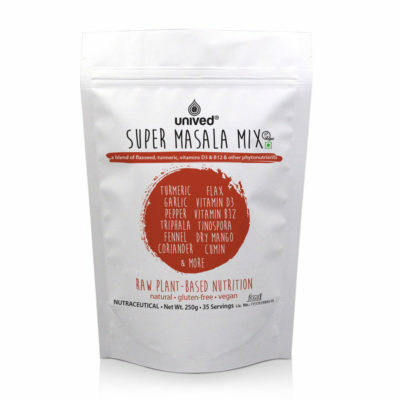 Each serving gives you 526mg of Boswellia serrata, 75mg of Curcuma longa and 300mg of Withania somnifera. As a dietary supplement, adults take 2 capsules twice a day, after meals. If you are pregnant or breastfeeding, consult your healthcare practitioner before taking this product. Joint inflammation is a complex process occurring through a variety of mechanisms, leading to changes in local blood flow and the release of several mediators. The reason why COLOX works better than NSAIDs or any other synthetic drugs is that Unived has designed this product keeping in sight the complex anatomy of your joints and the process leading to pain, inflammation, and edema. Typically, a movable (or synovial) joint connects two or more bones and consists of two bone ends cushioned by cartilages. They are enclosed by a fluid filled capsule which is lined by the synovial membrane. This membrane produces a fluid to provide nourishment to, and reduce friction in, the joints. Ligaments and tendons attach the bones to each other and provide stability and movement. Injury, damage, deformity or disease to any of these constituents of the joint can lead to joint pain. Arthritis is a commonly known joint pain related condition and a literal translation of the word [arthros + Itis], is joint inflammation. It is usually accompanied by pain, swelling and stiffness as a result of infection, trauma, degenerative changes, metabolic disturbances, or other causes. It occurs in various forms, such as bacterial arthritis, osteoarthritis, or rheumatoid arthritis and can cause mild to severe pain in the joints, as well as joint tenderness and swelling. COLOX effectively addresses joint degeneration occurring in osteoarthritis and rheumatoid arthritis. Standardized phytochemical extracts of the three potent herbs of Boswellia serrata, Curcuma longa and Withania somnifera possess very effective joint repair properties. They effectively address joint pain and inflammation while at the same time enable the overall health of your joints thus inducing improved movement and flexibility. 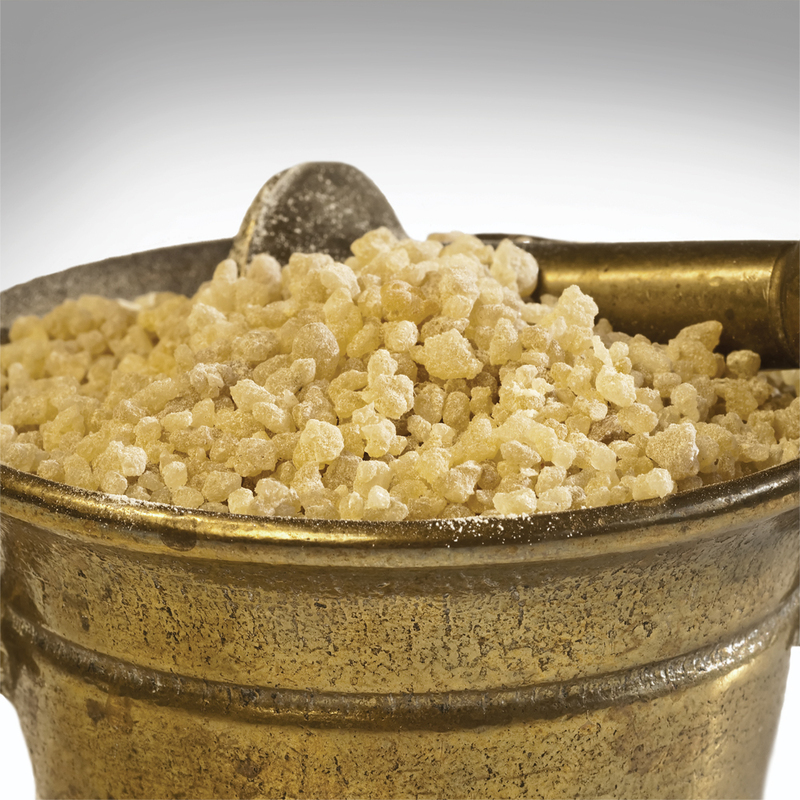 Boswellia serrata has traditional medicinal uses addressing a variety of medical conditions. It has been researched widely for its anti-inflammatory properties and is found to have a positive impact on arthritic joints. Gum resin extracts of Bowellia serrata possesses good anti-inflammatory, anti-arthritic and analgesic activities. Unlike the NSAIDs which target the COX-1 and COX-2 enzymes, Boswellia serrata inhibits the activity of 5-LOX. The latter is the first enzyme in the metabolic pathway responsible for facilitating the biosynthesis of inflammation. Boswellia serrata can also prevent the degradation of articular cartilage, which can be significant in arresting the progression of osteoarthritis. Comparative evidence of Boswellia serrata and a popular NSAID indicates that Boswellia serrata significantly reduces the degradation of glycosaominoglycans, whereas the drug causes a reduction in total tissue glycosaminoglycan content. This is an important advantage over the NSAIDs which can cause a disruption of glycosaminoglycan synthesis accelerating the articular damage in arthritic conditions. Boswellic acids also block the overproduction of cytokinetic activity in damaged tissues while enhancing the blood flow to your joints. 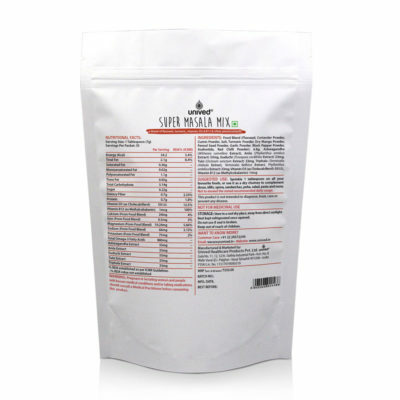 This combined action of Boswellia serrata eases stiff joints and increases joint mobility. Modern medicine and pharmacology strongly point out to its use as an antiarthritic, anti-inflammatory, analgesic and hepatoprotective (protects the liver) agent. The multiple applications of Curcuma longa make it a potent panacea and has been used as such in various Asian cultures. 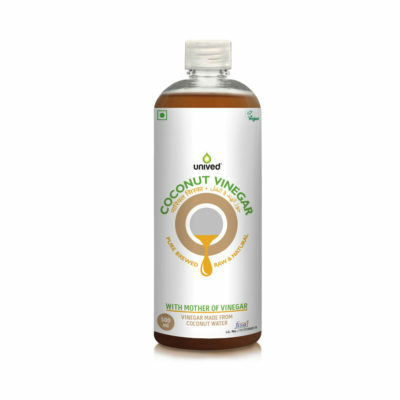 It is widely researched for its ability to treat and prevent diseases. The volatile oils of Curcuma longa exhibit powerful anti-inflammatory effects. Curcumin has also exerts antioxidant, antiviral and antifungal actions. Curcumin counteracts inflammation by blocking the activity of cyclooxygenase-2 (COX-2), an enzyme responsible for the synthesis of prostaglandins which play a key role in generation of inflammatory response. Curcuma longa’s anti-inflammatory properties may also be attributed to its ability to inhibit pro-inflammatory arachidonic acid and neutrophil function during inflammatory states. It lowers the production of inflammation-inducing histamine. 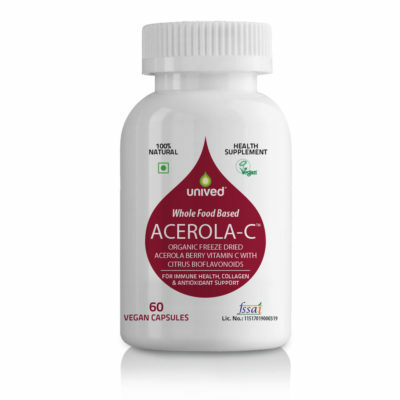 It increases and prolongs the action of the body’s natural anti-inflammatory adrenal hormone, cortisol, and also improves circulation, thereby flushing toxins out of small joints where cellular wastes and inflammatory compounds are frequently trapped. 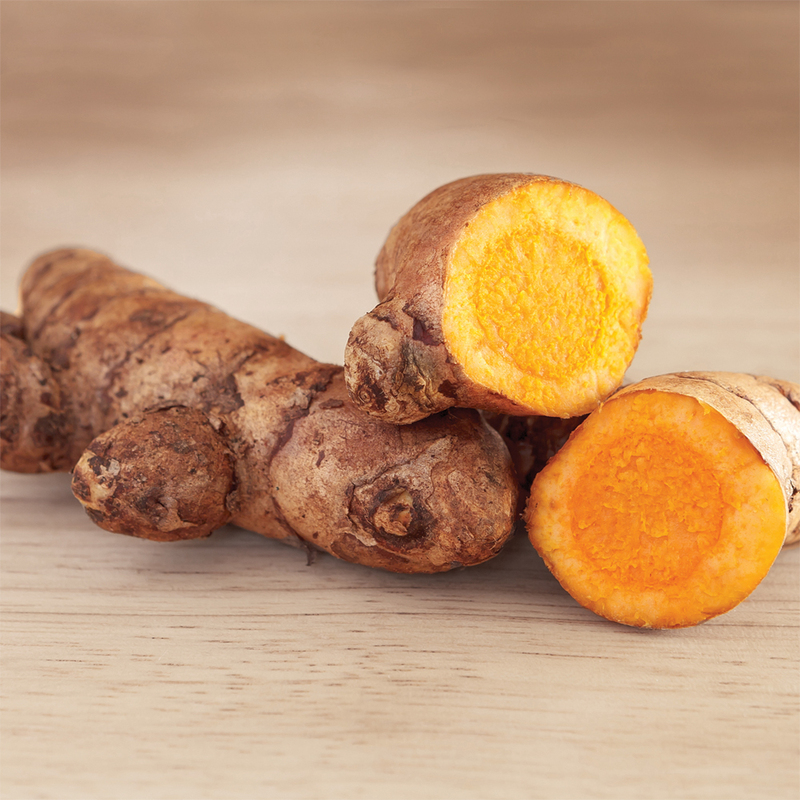 Curcuma longa acts as an antioxidant, improves digestion, supports a healthy immune system, prevents tissue breakdown, and has anti-ageing properties. Withania somnifera is a dynamic herb with several powerful applications in enhancing human health. 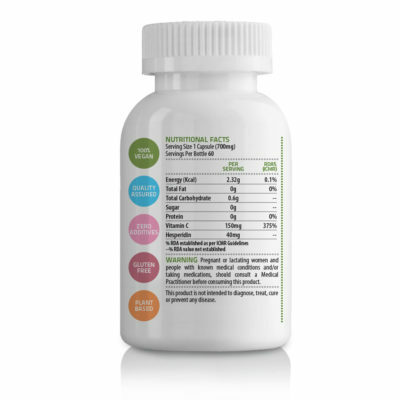 With its powerful immunomodolatory, anti-inflammatory, and antioxidant properties it is part of different formulations meant for a variety of musculoskeletal formulations, a general adaptogen, improves overall health and is useful in balancing pathological states. Cyclooxygenase (COX) inhibition is one of the mechanisms for the herb’s anti-arthritic properties. It is specifically useful for rheumatoid arthritis. It also helps to counter chronic fatigue, weakness, dehydration, bone weakness and muscle tension and increases energy levels. Evidence suggest that osteoarthritis patients using a combination herbal formula inclusive of Ashwagandha, report positive effects. Withania somnifera is an immune amphoteric which can induce immune response in low immune states and also can exert an immunosuppressive action on certain lymphocyte activity in case of hyper-immune/autoimmune states. Joint pain management needs an integrative approach due to the complex anatomy involved in it. That is why Unived’s COLOX is integral to achieving and regaining joint health. 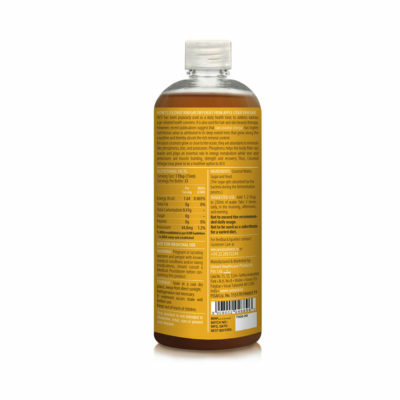 Its superior and synergistic action makes it a better and safer formulation for joint health. Both osteoarthritis and rheumatoid arthritis can be dealt with more effectively with COLOX. Its tendon and muscle strengthening properties makes it applicable even to athletes to cope better with sports injuries. The overall mechanism of joint inflammation weighed against the applicability and effectiveness of COLOX makes it the preferred choice on many counts. COLOX has no known side-effects and can be used long-term. Arthritis is among the most common joint pain related disorders and is one of the leading causes of disability and limitations in activities of daily living. Its economic, psychological, and social impact is enormous. Arthritis prevalence rates rise sharply with age and it is the leading chronic condition in mid and late life. Worldwide estimates are that 9.6% of men and 18.0% of women aged over 60 years have symptomatic osteoarthritis. Arthritis is a major contributor to disability among older people and is especially disabling for older women, who experience higher prevalence rates and greater disability than their male counterparts. Joints tend to degenerate with age. Osteoarthritis is a natural consequence of ageing. People lose bone mass density as they age. Hip and knee joints begin to lose cartilage. The joints become stiffer and less flexible. Fluid in the joints may decrease, and the cartilage may begin to rub together and erode. Muscles may lose their tone and ability to contract due to ageing related muscle and nervous system changes. COLOX is beneficial for ageing individuals as it will safely reduce pain and inflammation. Its action is superior to the NSAIDs which have hazardous side-effects. Moreover, COLOX imparts energy to your joints, strengthens your cartilage and aids in joint repair. COLOX can help you retain the normal health and flexibility of your joints, even in advanced age. Sixty percent of all people who have arthritis are female, and several of the more common forms are more prevalent in women. Women are more likely to be afflicted by most types of arthritis including osteoarthritis, rheumatoid arthritis and low back pain (related to menstrual cycle and post-menopausal). The risk of arthritis increases among Indian women once they pass the age of 40. Irregular menstrual cycles and an earlier age at menarche increased the risk of rheumatoid arthritis. According to a Swedish study, even ‘light’ smoking may raise women’s arthritis risk. Even smoking as many as between one and seven cigarettes per day more than doubled a woman’s chance of developing rheumatoid arthritis compared with a woman who had never smoked. Compared to men, women have reported a higher total of painful joints. The synergistic effect of COLOX has a dramatic and long term impact on joint pain related disorders including arthritis, knee joint pain, low back pain, and lumbago and other types of joint pain. COLOX helps you regain your joint health and allows you to continue with your life activities. It is has no known side-effects and is safe for long term consumption. Athletes are exposed to continuous, repetitive stress on their joints since their regimen demands excessive sprinting, lifting, bending and other such repetitive tasks. Foot and ankle injuries are extremely common among athletes and other physically active individuals. The ligaments inside your knee joint are most vulnerable to damage during sports activities which involve sudden stopping and constant changes in direction. Sprains, fractures and bursitis are other joint related troubles typically faced by the athletes. According to a Swedish study, elite male athletes who participate in high-contact sports such as football, soccer and rugby have a higher risk of developing knee and hip osteoarthritis than men who exercise little or not at all. COLOX is beneficial for athletes as it accelerates and supports your body’s natural healing and repair mechanism for injured, inflamed or strained joints. It reduces pain and inflammation in your joints safely and effectively, with its double action blocking COX-2 and 5-LOX, making it superior to NSAIDs and other supplements. 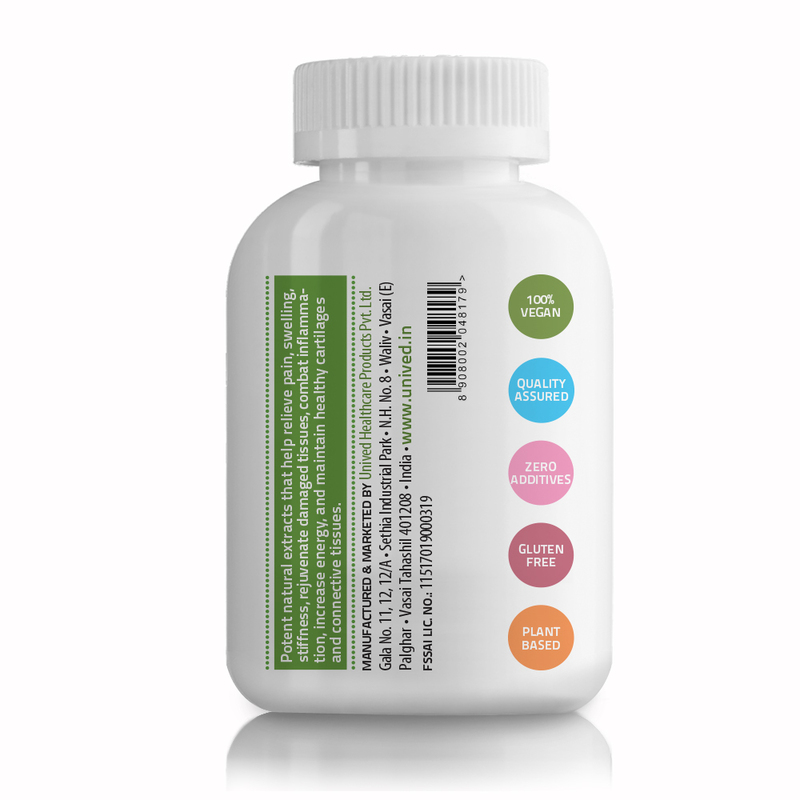 The phytochemical extracts in COLOX are natural and cause no harm to regular bodily functions. Most importantly, COLOX strengthens your tendons and muscles, restores joint mobility and flexibility. Cartilages are supple flexible connective tissues found towards the end of our joints, between bones. When our cartilages get worn down, it results in friction between our bones, leading to reduced motion and intensive pain, and exposing our joints to high levels of stress. This degeneration is characterized as osteoarthritis. More than 90% of the increasing total hip or knee joint replacement operations are associated with osteoarthritis diagnosis. Osteoarthritis is the most prevalent chronic rheumatic disease and is a leading cause of pain and disability in most countries. Increases in life expectancy and ageing populations are expected to make osteoarthritis the fourth leading cause of disability by the year 2020. According to the Arthritis Foundation, symptoms of osteoarthritis begin to set in 10 years after a specific cause such as an injury or obesity, so early treatment is important. COLOX possess anti-inflammatory, anti-arthritic and analgesic properties. The phytochemical ingredients in COLOX are clinically proven to be specifically useful in osteoarthritis of the knee. With the use of COLOX per the suggested dose you experience decreased knee pain, increased knee flexion and ability to walk for longer distances. You will also find reduced frequency in knee swelling. By blocking both COX-2 and 5-LOX, enzymes involved in the biochemical flow leading to inflammation, COLOX becomes more effective in reducing the ill effects of inflammation on your joints as compared to NSAIDs. The ingredients in COLOX have also been clinically tested and proven to be better as compared to certain NSAIDs. COLOX, also infuses more energy to your joints and supports its natural healing process. It strengthens your cartilage and connective tissues to ensure that you gain long term mobility and flexibility in your joints. Rheumatoid arthritis, is an autoimmune disease causing inflammation of the joint lining (synovium). The immune system attacks its own body tissues causing joint pain, stiffness, swelling and redness. An individual suffering from rheumatoid arthritis often undergoes active spells of chronic joint inflammation and pain. The prevalence of rheumatoid arthritis in India is quite similar to that reported from the developed countries. It is higher than that reported from China, Indonesia, Philippines and rural Africa. Rheumatoid arthritis is associated with a reduced life expectancy, particularly in patients with more severe forms of the disease. Up to one-half of all rheumatoid arthritis patients become unable to work within 10-20 years of follow-up. No cure exists for rheumatoid arthritis, but disease activity and long-term disability can be improved with disease modifying therapies. COLOX has ingredients (including Withania somnifera) that are specifically useful in treating rheumatoid arthritis. Because it possesses immune modulating properties and can exert immunosuppressive action on lymphocyte activity in case of autoimmune states. It acts as an anti-inflammatory and anti-arthritic agent that effectively reduces pain and swelling in your joints, symptoms that are typical of rheumatoid arthritis. COLOX provides your joints better energy to cope with the stress integral to this grave arthritic condition. COLOX is a natural joint pain supplement for arthritis, back pain, knee pain, and muscle pain that helps strengthen the cartilage, reduces inflammation, and increases flexibility. COLOX is a synergistic blend of standardized phytochemical extracts of – Boswellia serrata, Curcuma longa and Withania somnifera. Boswellia serrata: It is widely researched for its anti-inflammatory properties and is found to have a positive impact on arthritic joints. Extracts of Bowellia serrata possesses good anti-inflammatory, anti-arthritic and analgesic activities. Unlike the NSAIDs which target the COX-1 and COX -2 enzymes, Boswellia serrata inhibits the activity of 5-LOX. Curcuma longa: The volatile oils and curcumin of Curcuma longa exhibit powerful anti-inflammatory effects. Curcumin also exerts antioxidant, antiviral and antifungal actions and counteracts inflammation by blocking the activity of cyclooxygenase-2 (COX-2). Withania somnifera: It is found to be a part of different formulations meant for a variety of musculoskeletal issues, is an anti-stress agent, improves overall health and is useful in balancing pathological states. Cyclooxygenase (COX) inhibition is one of the mechanisms for the herb and it is specifically useful for rheumatoid arthritis. It also helps to counter chronic fatigue, weakness, dehydration, bone weakness and muscle tension and increased energy levels. COLOX works by posing a double blockade in the path of pain and inflammation. Unlike the commonly prescribed synthetic anti-inflammatories (NSAIDs) and other joint pain supplements which target either COX-1or COX-2 enzymes, COLOX brings a more synergistic and effective mechanism by blocking COX-2 and 5-LOX, both enzymes playing an important role in causing arthritic pain and inflammation. Its action is not restricted to that but extends to preventing future damage by strengthening your cartilage and providing your joints with more energy to deal with wear and tear. Further, since its action is synergistic and is free from side effects, COLOX does not harm your physiological balance. How is COLOX – joint pain supplement – better than other anti-inflammatory drugs? Non-steroidal anti-inflammatory drugs (NSAIDs) are among the most commonly prescribed medications for joint pain and inflammation. Some of these include ibuprofen, aspirin, and aceclofenac etc. Those meant for oral consumption lead to side effects such as gastrointestinal problems, kidney dysfunction, high blood pressure and heart and stroke related risk. Many who resort for topical anti-inflammatories belief they can escape the side effects, however these give only temporary relief and also have other side effects including skin irritation, rash, photosensitivity of the affected area and allergic reactions. Unived’s COLOX has a much superior action and is more effective. Whereas the oral NSAIDs target the COX-1 and/or COX-2 enzymes to inhibit inflammation, COLOX targets the COX-2 as well as 5-LOX enzymes. This means that both prostaglandins and leukotrienes are inhibited, making COLOX a much more effective remedy against pain and inflammation. 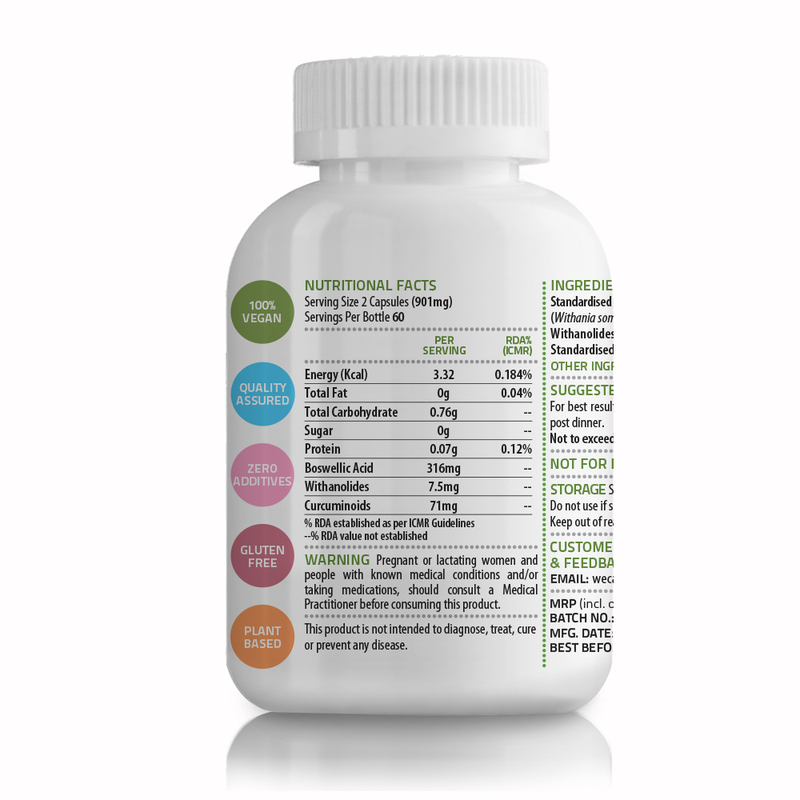 COLOX has no known side-effects and is carefully formulated using the standardized phytochemicals extracts. Standardization improves the bio-efficacy and bio-availability, eliminates the risk of pathogens and delivers the specific active ingredient. Is COLOX helpful for osteoarthritis? Yes. COLOX is highly effective for Osteoarthritis. Osteoarthritis involves the deterioration of the cartilage between your joint, leading to friction between the joint bones which in turn brings pain and inflammation. COLOX inhibits pain and inflammation, bringing you relief from these symptoms. Its anti-inflammatory and anti-arthritic properties protect your joints from damage strengthens your cartilage and revives the flexibility of your joints. Can rheumatoid arthritis be cured with COLOX? 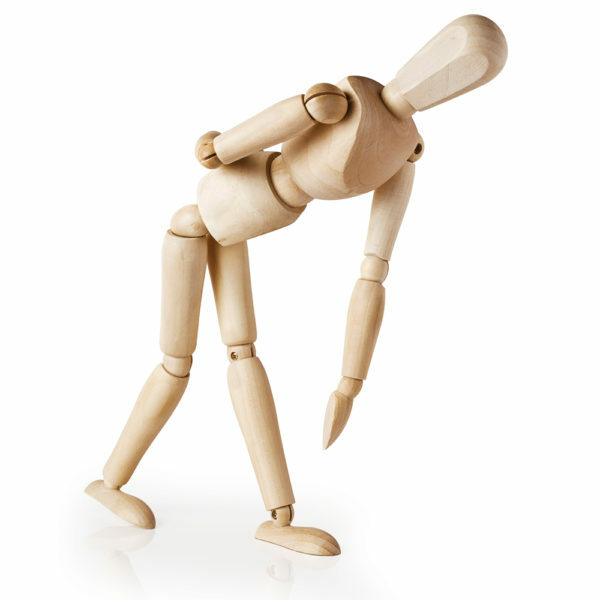 Rheumatoid arthritis is an autoimmune disease that causes chronic inflammation of our joints. In this condition, your immune system mistakenly attacks the body’s own tissues, specifically the synovial membrane – a soft tissue responsible for secreting synovium (fluid between our bones meant for lubrication). Rheumatoid arthritis has no cure. However COLOX helps you bring down its severity. Due to its anti-arthritic and anti-inflammatory action, it brings down the pain and swelling in your joints. More importantly its ingredient phytochemicals have the ability to modulate your immune system, meaning that it can act as immunosuppressive agent. That makes it specifically supportive for your rheumatoid arthritis treatment. Is COLOX useful for injury? COLOX is useful for any injury incurred in the joints as it is an effective joint pain supplement to fight and reduce inflammation. The injury may be related to sprains, ligament tear or any other form of joint damage. COLOX will give you much better recovery from it, as compared to the commonly prescribed anti-inflammatories. Can COLOX be used by the vegans? Yes. COLOX can be used by vegans and vegetarians, as it contains purely plant based ingredients unmixed by any synthetic additives or impurities. 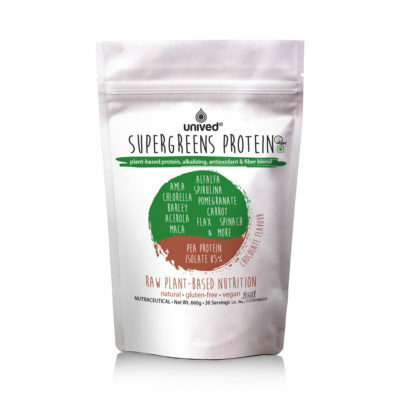 It contains no animal products, GMO, soy protein or wheat gluten. Is COLOX useful for athletes? Athletes are exposed to continuous, repetitive stress on their joints since their regimen demands excessive sprinting, lifting, bending and other such repetitive tasks. The ligaments inside your knee joint are most vulnerable to damage during sports activities which involve sudden stopping and constant changes in direction. COLOX is beneficial for athletes as it accelerates and supports your body’s natural healing and repair mechanism for the injured, inflamed or strained joints. It reduces pain and inflammation in your joints safely and effectively, with its double blocking action of COX-2 and 5-LOX, making it superior to the NSAIDs. 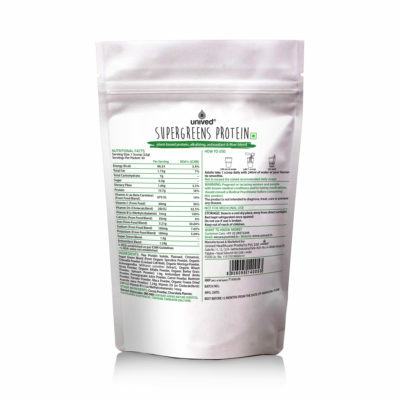 Its adaptogenic ingredients help your joints cope with the stress they undergo due to intensive physical activity. The phytochemical extracts in COLOX are natural and cause no harm to regular bodily functions. Most importantly, COLOX helps strengthen your tendons and muscles, restore joint mobility and flexibility. Can I use COLOX and CalDveg together? Yes, you can use CalDveg and COLOX together. 1. Chou R et al. (2007), in Sarah Merriam & René Claxton ‘Topical non-steroidal anti-inflammatory drugs, Fast Facts and Concepts’, Jan 2012, no. 249, EPERC, Medical college of Wisconsin, www.eperc.mcw.edu. 2. Sostres C et al., ‘Adverse effects of non-steroidal anti-inflammatory drugs (NSAIDs, aspirin and coxibs) on upper gastrointestinal tract,’ Best Practice & Research Clinical Gastroenterology, Apr 2010; vol. 24(2), pg. 121-32. 3. Singh G, 1999 in Sarah Merriam & René Claxton, ‘Topical non-steroidal anti-inflammatory drugs, Fast Facts and Concepts’, Jan 2012, no. 249, EPERC, Medical college of Wisconsin, www.eperc.mcw.edu. 4. Laurie Tarkan, ‘Topical Gel Cathces Up with Pills for Relief’, September 6, 2010, Health, The New York Times. 5. Nonsteriodal anti-inflammatory drugs, American College of Rheumatology, www.rheumatology.org. 6. Ross Hauer, ‘The acceleration of Articular Cartilage Degneration in Osteoarthritis by Nonsteroidal Anti-inflamatory Drugs’, Journal of Prolothereapy, 2010, vol. 2(1), pg. 305-22. 9. ‘Slected medicinal plants of India, A Monograph of identity, safety and clinical usage’ SPARC (1992) in Sontakke S etal., ‘Open, Randomised, Controlled Clinical Trial of Boswellia serrata extract as compared to Valdecoxib in Osteoarthritis of Knee’, 2007, vol. 29(1), pg. 27-29. 10. M.Z. Siddiqui, ‘Boswellia serrata, A Potential Anti-inflammatory Agent: An Overview’, Indian Journal of Pharmaceutical Science, May 2011; vol. 73 (3), pg. 255-6. 11. Vicki Brower, ‘Ancient Herb Supresses Inflammation’, Life Extension Magazine, March 2007. 12. Blain E J et al., ‘Boswellia frereana (frankincense) suppresses cytokine-induced matrix metalloproteinase expression and production of pro-inflammatory molecules in articular cartilage,’ Phytotherapy Research, 2010, vol. 24(6), pg. 905-912. 13. Reddy GK et al., (1989) in M. Z. Siddiqui, ‘Boswellia Serrata, A Potential Anti-inflammatory Agent: An Overview’, Indian Journal of Pharmaceutical Science, May-Jun 2011, vol. 73(3), pg. 255–261. 14. Dr. David Jockers, ‘The Super Herb Boswellia – De-inflame and Heal’, October 2011, NaturalNews.com. 15. M.Z. Siddiqui, ‘BoswelliaSerrata, A Potential Anti-inflammatory Agent: An Overview’, Indian Journal of Pharmaceutical Science, May 2011; vol. 73 (3), pg. 255-6. 16. ‘Curcuma longa (Turmeric)’, Monograph, Alternate Medicine Review, 2001, Volume 6 supplement, pg. S62-S66. 17. M. Akram et al., ‘Curcuma longa and Curcumin: A Review Article’, Romanian Journal of Biology-Plant Biology, 2010, vol. 55(2), pg. 65-70. 18. Julie Jureka, ‘Anti-inflammatory Propeties of Curcumin, a Major Constituent of Curcuma Longa: A Review of Pre-clinical and Clinical Research’, Jun 2009, Alternative Medicine Review, vol. 14(2), pg. 141-53. 19. Mishra LC et al., ‘Scientific Basis for the Therapeutic Use of Withania somnifera (Ashwagandha): A Review’, Alternative Medicine Review, Aug 2000, vol. 5(4), pg. 334-46. 20. Eugene Z & Ellen K, ‘Natural Support for Autoimmune and Inflammatory Disease’, Journal of Restorative Medicine, Sep 2012, vol. 1(1), pg.38-47. 21. Dafni A & Yaniv Z in Eugene Z & Ellen K, ‘Natural Support for Autoimmune and Inflammatory Disease’, Journal of Restorative Medicine, Sep 2012, vol. 1(1), pg.38-47. 22. Satish K Verma et al., ‘Immunomodulatory Activity of Withania somnifera’, Journal of Chemical and Pharmaceutical Research, 2012, vol. 4(1), pg. 559-561. 23. Sitansu Verma & Ajay kumar, ‘Therapeutic uses of Withania somnifera, with a Note on Withanolides, and its Pharmocological Actions’, Asian Journal of Pharmaceutical and Clinical Research, 2011, Vol. 4., Suppl 1, pg 1-4. 24. Kulkarni RR et al., 1991 in Eugene Z & Ellen K, ‘Natural Support for Autoimmune and Inflammatory Disease’, Journal of Restorative Medicine, Sep 2012, vol. 1(1), pg.38-47. 25. Callahan LF. et al., ‘Arthritis and Women’s Health: prevalence, impact and prevention’, American Journal of Preventive Medicine, Sep-Oct 1996, vol. 12(5), pg. 401-9. 26. Verbrugge LM., ‘Women, men, and osteoarthritis’, Arthritis Care and Research, Dec 1995, vol. 8(4), pg. 212-20. 27. Chronic Rheumatic Conditions, Chronic Diseases and Health Promotion, World Health Organization, www.who.int. 28. Hughes SL, Dunlop D, ‘The prevalence and impact of arthritis in older persons’, Arthritis Care and Research, Dec 1995, vol. 8(4), pg. 257-64. 29. Osteoarthritis, Medline Plus, US National Library of Medicine, NIH. 30. ‘Harvard Health Letter’, Apr 2003, Harvard Health Publications, Harvard Medical School. 31. Aging Changes in the Bones-Muscles-Joints, Medline Plus, US National Library of Medicine, NIH. 32. Arthritis in Women, Arthritis Foundation, www.arthritis.org. 34. ‘Indian Women Above 40 are More Prone to Arthritis’, The Hindu, Chennai, 13 October, 2009. 35. Elizabeth K., ‘Do breast-feeding and other reproductive factors influence future risk of rheumatoid arthritis? : Results from the Nurses’ Health Study’, 2004 – Arthritis & Rheumatism – Wiley Online Library. 36. Lee Marshal, ‘Rheumatoid Arthritis risk increases with smoking’, CBC News, 22 April 2013, www.cbc.ca. 37. Grace Rattue, ‘Women aged over 85 have higher prevalalnce of Arthritis and Joint Pain’, Medical News Today, www.medicalnewstoday.com. 38. Dr. Sheldon Martin, ‘Athletes and Joint Pain: Is it Something you have to live with?‘, April 2013, Orthoarizona, www.orthopedicarizona.com. 39. Linda Thrasybule, ‘Elite Athletes at a Greater Risk of Arthiritis’, Reuters (Health), NY, 16 Dec 2011, www.reuters.com. 40. Australian Orthopaedic Association (2009) in Marlene Fransen et al., ‘The Epidemiology of Osteoarthritis in Asia’, International Journal of Rheumatic Diseases, 2011, vol. 14(2), pg. 113-121. 41. World Health Report 2002, ‘Reducing Risks, Promoting Healthy Life’, WHO (2002), Geneva. 42. Anthony Wolf & Bruce Pfleger, ‘Burden of Major Musculoskeletal Conditions’, Bulletin of the World Health Organization, 2003, vol. 81 (9), pg 646. 43. ‘Arthritis Can Strike at Any Age’, Chestnut Hill Hospital, University of Pennsylvania Community Health Network, www.chhealthsystem.com. 44. Kimmatkar N et al, ‘Efficacy and Tolerability of Boswellia serrata in treatment of Osteoarthritis of knee – a randomized double blind placebo trial’, Phytomedicine, Jan 2003, vol. 10(1), pg. 3-7. 45. Reji K, ‘Clinical evaluation of a formulation containing Curuma longa and Boswellia serrata extracts in the management of knee Osteoarthritis,’ Molecular Medicine Reports, Nov 2013, Vol. 8(5), pg. 1542-8. 46. Malaviya AN et al., ‘Prevalence of rheumatoid Arthritis in Adult Indian Population’, Rheumatology International, 1993, vol. 13(4), pg. 131-4. 47. Ted Mikuls, ‘Rheumatoid Arthritis Incidence: What Goes Down Must Go Up?’, Arthritis and Rheumatism, 2010, vol. 62(6), pg. 1565-7.